This week the BOK Center was in the national limelight as Tulsa hosted the NCAA Tournament. The striking stainless steel structure has become a nationally renowned venue for sports and entertainment, and a catalyst for the rebirth of downtown. But it wasn't an easy road. 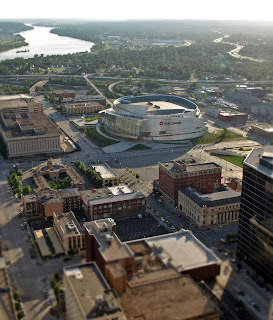 What we know today as the BOK Center took three attempts at the ballot box and a lengthy public debate to become reality. The package known as Vision 2025 bundled the new arena with other downtown renovations, residential incentives and a proposed airplane factory. Tulsa County voters approved that measure in 2003, Cesar Pelli was asked to submit a design for the arena and the airliner deal lost out to Everett, WA. The proposed design was mocked and criticized. Naysayers complained about the size, the cost, the location, the parking- and once the design was approved- the aesthetics. Detractors have called it everything from a crushed beer can to a steel tornado. 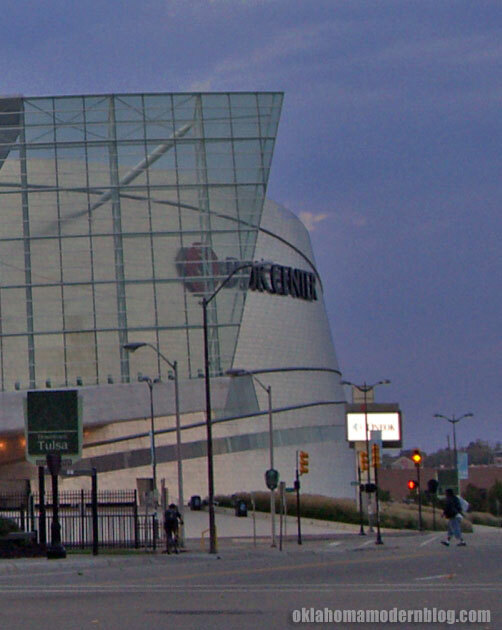 Cesar Pelli's arena design was the result of Tulsa's request for a building that would become an architectural icon. Pelli considered many aspects of Tulsa's heritage- and the final design "resonates with Tulsa’s Native American past, but the modern materials and scale look to the future." 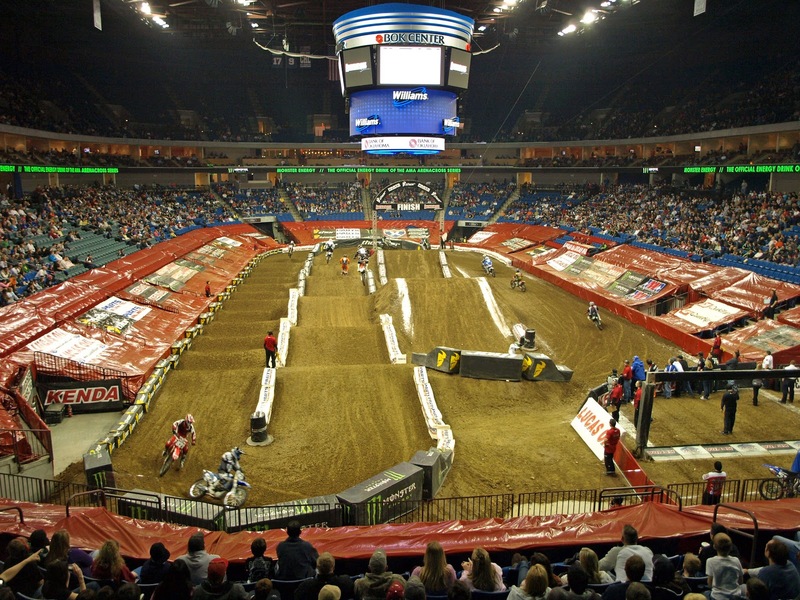 In 2008 the BOK Center opened after 3 years construction and a total cost of $198 million. But the primary goal of Vision 2025 was not merely, well... visual. Improving infrastructure and boosting the rebirth of downtown Tulsa was a big part of the proposal's pitch to voters. To gauge that aspect just drive downtown any weekend. You'll probably find something scheduled at the BOK: concerts, big name acts, local sporting events- maybe even a nationally televised basketball tournament! 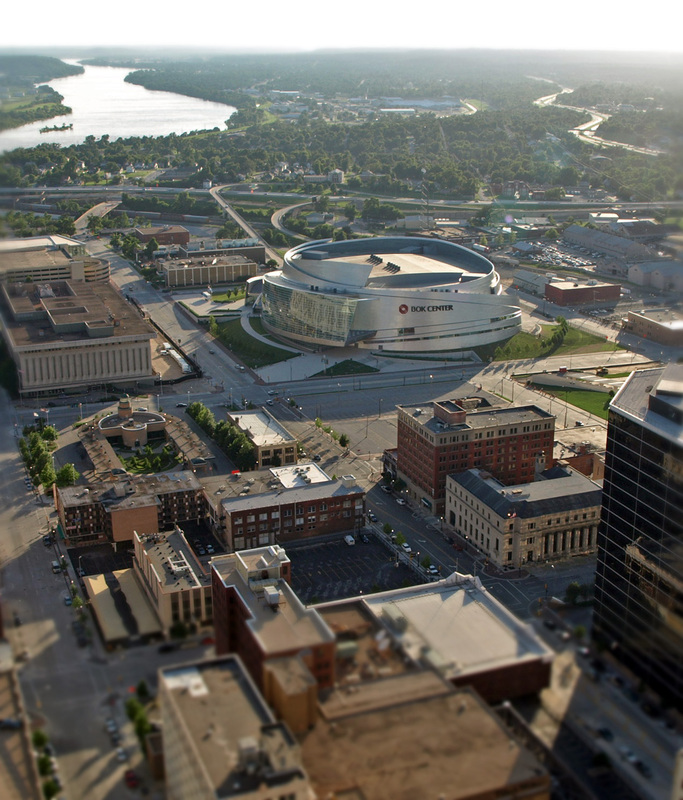 Judging from the success the BOK Center has enjoyed since 2008, and the positive reaction from the general public, it's managed to fulfill the vision civic leaders hoped for. And personally, I think it looks really, really cool. The stainless steel skin reflects the sun even on a cloudy day. 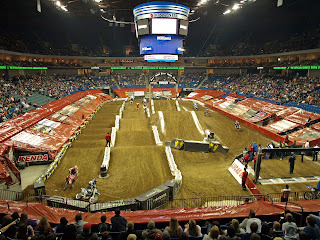 The BOK Center has hosted everything from Elton John to Arenacross.